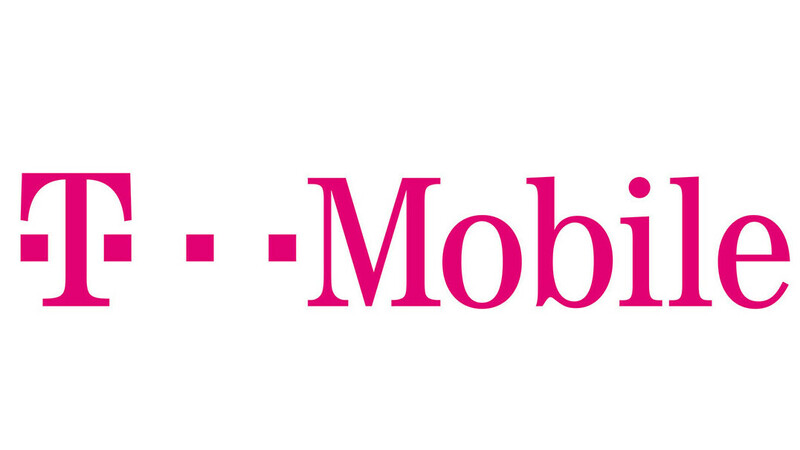 T-Mobile recorded another strong quarter and had the fastest average 4G LTE speeds of any US carriers in the last quarter of 2018. The company announced its financial results for the trimester and unveiled average LTE speeds that are faster than the competition and have been so for 20 straight quarters. 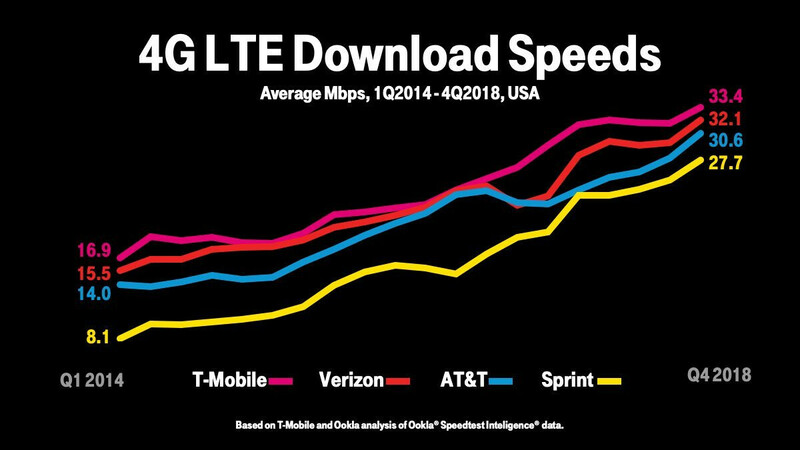 For example, download speeds on T-Mobile averaged 33.4Mbps, higher than the 32.1Mbps result on Verizon, the closest competitor, and further outpacing AT&T and Sprint, which came in last. It's also exciting to see how far we've come in terms of average download speeds in just about five years, nearly doubling the download speeds we used to get in Q1 2014. Keep in mind that the numbers in the chart above are for download speeds. 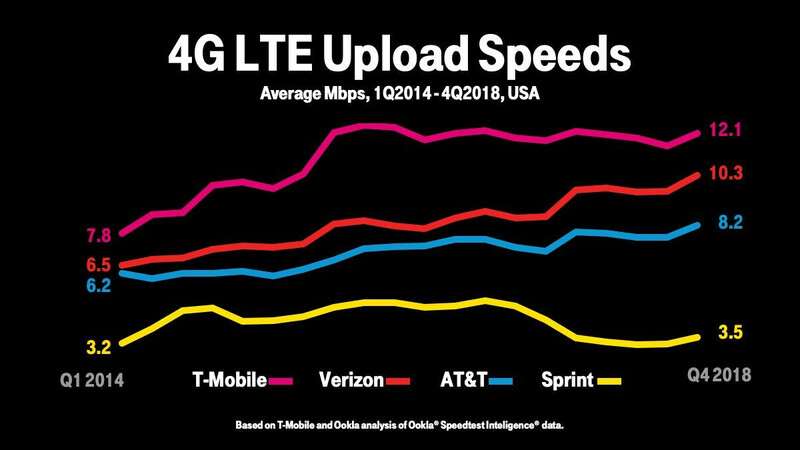 When it comes to upload speeds, which are very important to those who post a lot of stuff online, especially large files like videos, T-Mobile again has the lead. In the upload speed race, however, the differences are much bigger: T-Mobile averaged 12.1Mbps, followed by Verizon with 10.3Mbps, AT&T with 8.2Mbps, and finally, Sprint scored a poor score of just 3.5Mbps. This means that if you try uploading larger files via the Sprint network, it would take nearly four times longer than if you used T-Mobile's network. All of those speeds were measured via T-Mobile's own data, but also from Ookla Speed Test Results, in case you were wondering. T-Mobile's coverage expanded in this last quarter to now cover 325M people in the United States and the carrier expanded its 600MHz coverage to more than 2,700 towns. Are you using T-Mobile and are you happy with the experience? And what are the average LTE speeds in your region, do you fall within the average ranges? Now if only we could get a TRUE unlimited data plan. Not some high speed for 4 gigs then capped at ULTRA slow speeds like 128k. Its all crap and personally I dont give two s**ts if its the fastest or not because throttling ruins it all. True. Also, let's see them keep those speeds with the same amount of network traffic. VZW has almost double the # of devices on it's network. So Verizon needs a reduction in users. It's personal experience that matters, not pride in the network. The ability of doing 100 MPH on a 3 lane highway with half as much traffic isn't as impressive as doing it with twice as much traffic. The throughput of total data while maintaining speed is impressive. When VZW started rolling out LTE, and not that many people were on the network, average download speeds were 100MB + in Houston. You may want to review your plan because T-Mobile One offers unlimited high speed with no throttling up until around 50 gigs. It's the best plan out! Speed doesn't mean much to me. Websites are still "slow", and other than streaming music, I don't need a lot of bandwith. 10-15 meg is fast enough. COVERAGE is more important than speed, for the most part for my use. T-Mobile continues to impress with speeds but I still hear people complain about coverage issues. Not sure how they measure the 325 million pops....I still know quite a few people with Sprint and they never seem to have coverage issues like T-Mobile users. I know, this is hardly a scientific test just saying that at least in my neck of the woods, people seem to complain a lot more about the lack of T-Mobile coverage than any other carrier.